Excuse the late post. I went to bed with a migraine 🙁 But the blog shall go on haha! So my little brother and I went for a hike on Friday outside of town. It has the most beautiful rolling green hills, snow topped mountains and a rainbow of wildflowers in bloom. In fact, I took my very first blog photos in this majestic place! Check out a few of my favorites here, here, and here. Anyway, my brother had never been there, so I thought it would be fun to show him around…look at the waterfall, walk along the stream, hike up the mountain and back. We started with the mountain hike and made it to the top. We decided to go a little further since there was a trail marked on the map that would take up back down. Long story short, we missed the fork and ended up hiking the entire 5 mile trail which took us WAYYY back to the mountains. The shuttle wasn’t running so we had to walk back. At the time, it was a lovely hike…but a 9-10 mile hike up and down steep hills is very tiring. Needless to say, it’s three days later and I can barely walk haha!!! 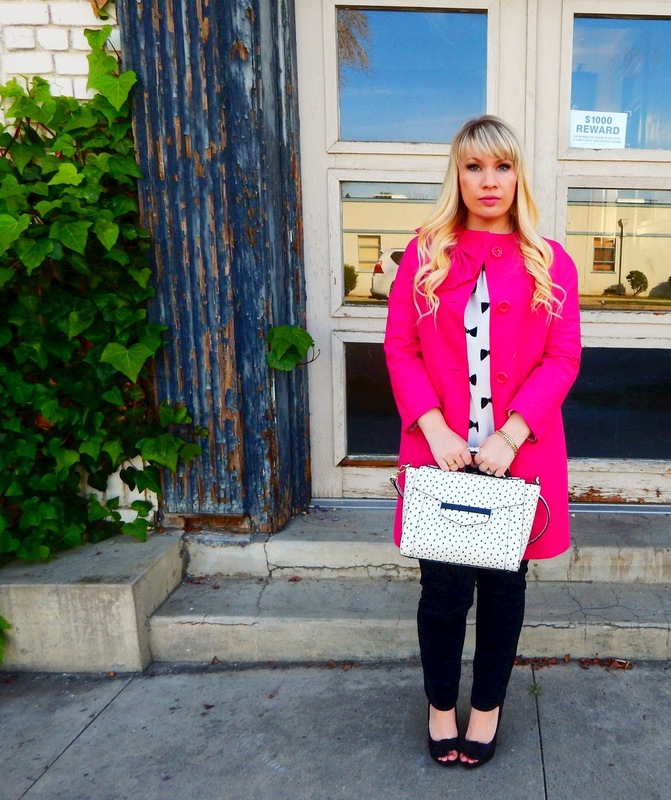 I bought this coat on super sale a while back and I’m head over heels for it! It’s very lightweight and perfect for those chilly mornings (and chilly classrooms). It’s the most beautiful fuchsia color that surprisingly pairs well with a lot and has an adorable, large bow adorning the neckline. 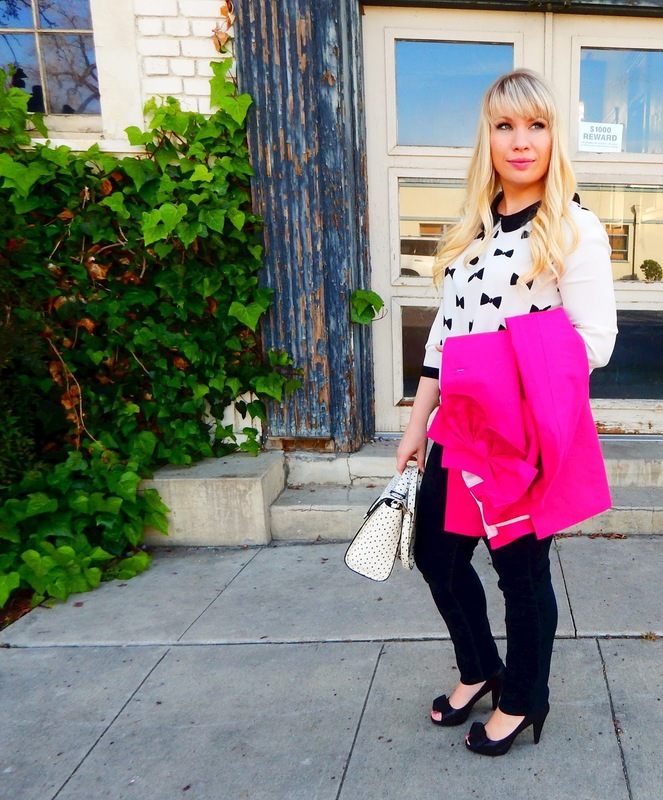 I let the coat take center stage by simplifying my outfit using a black and white color palette. 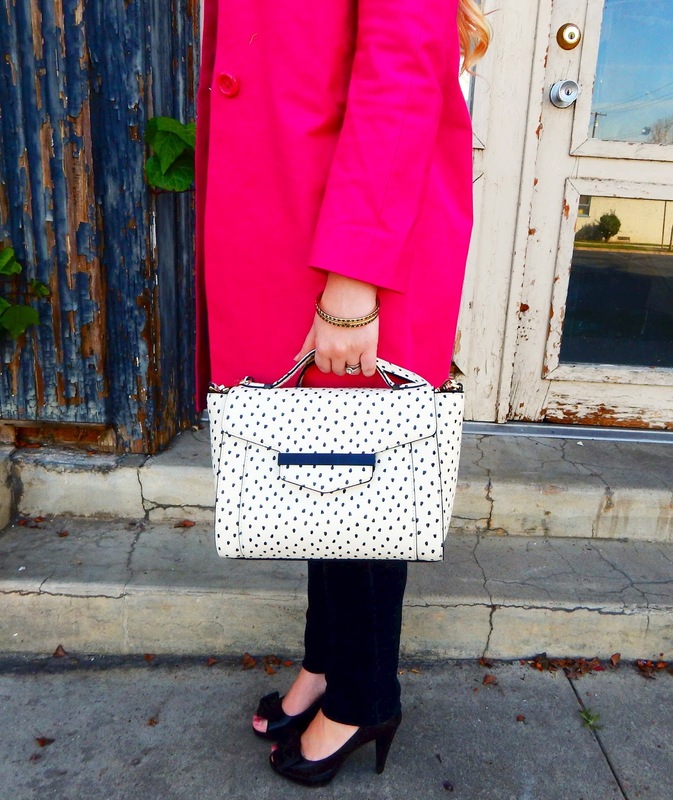 Bows consume my top and shoes, while a gorgeous black and white bag (Kate Spade, of course!) 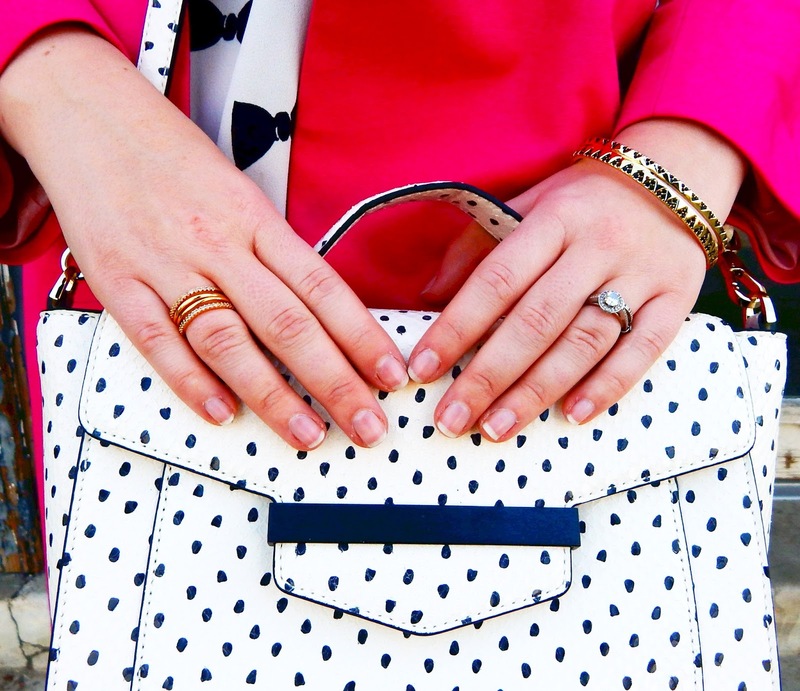 lends a touch of pattern mixing. I hope you had a lovely Easter! !